In the American Wing of the Metropolitan Museum of Art, amid much larger and more famous paintings, hangs a small portrait of Thomas Jefferson with a most interesting history for any fan of Alexander Hamilton or the Hamilton musical. In 1786 and 1787, John Trumbull visited Thomas Jefferson in Paris. With Jefferson’s “assistance,” Trumbull began painting The Declaration of Independence on a small 21-inch by 31-inch canvas. 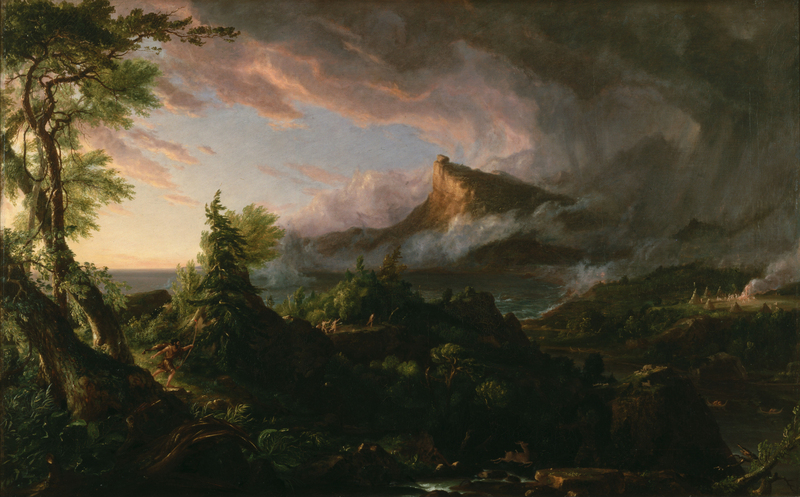 This small painting became the basis for the huge 12-foot by 18-foot painting of the same name that hangs in the U.S. Capitol. John Trumbull also used the original The Declaration of Independence as the source for three small portraits of Thomas Jefferson. One of the portraits was given to Maria Cosway, a married woman whose amorous correspondence with Jefferson has historians debating whether their relationship went beyond words. 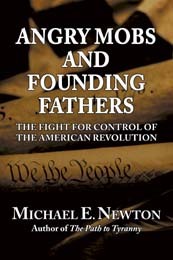 Another was given to Thomas Jefferson’s daughter. 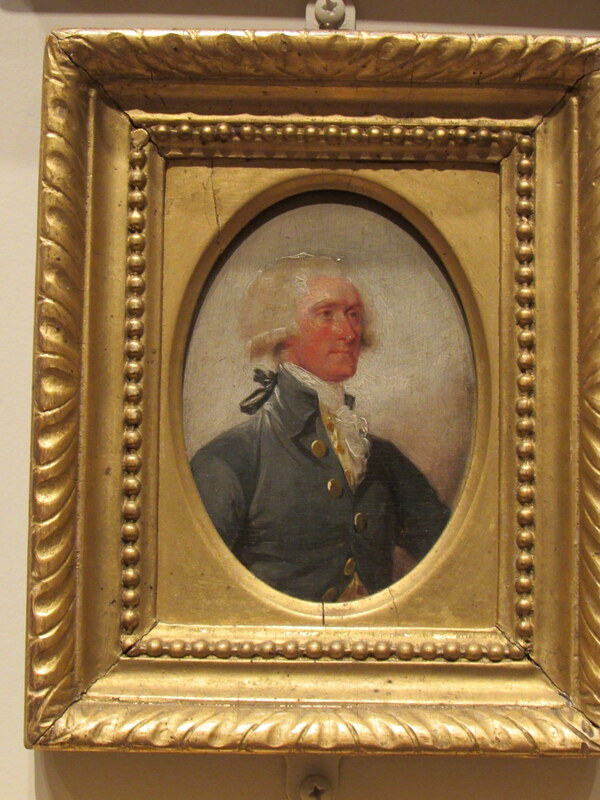 The other portrait of Jefferson painted by Trumbull was given to another one of Jefferson’s close friends, with whom he also wrote numerous flirtatious letters, Mrs. Angelica Church, known to many as the eldest of the Schuyler sisters. Luckily for fans of both Alexander Hamilton and Angelica Church, this portrait hangs in Gallery 753 of the Metropolitan Museum of Art. Alexander Hamilton is everywhere! He’s in books. He’s on our currency. He’s even on Broadway. 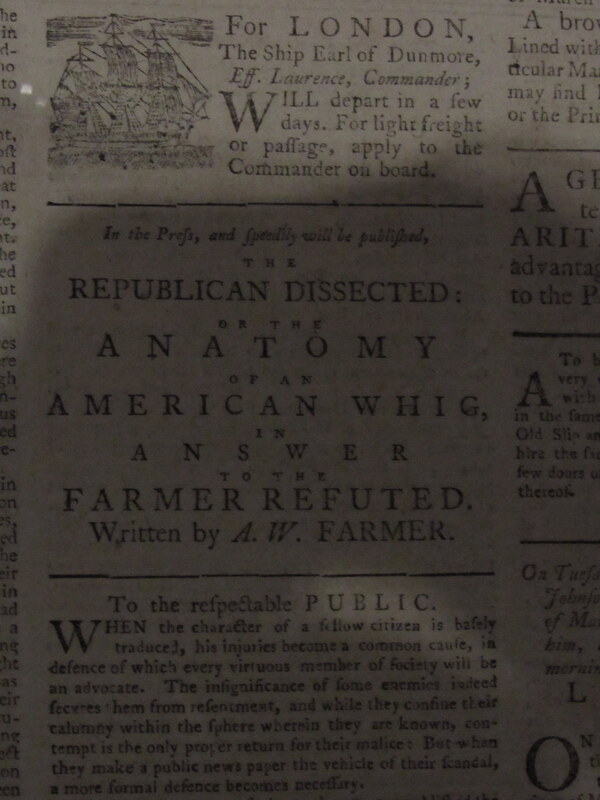 Of course, Hamilton can also be found in the numerous museums that display his portrait and curate exhibitions about him (for examples, see here, here, here, and here). Did anyone notice this advertisement in the above newspaper? 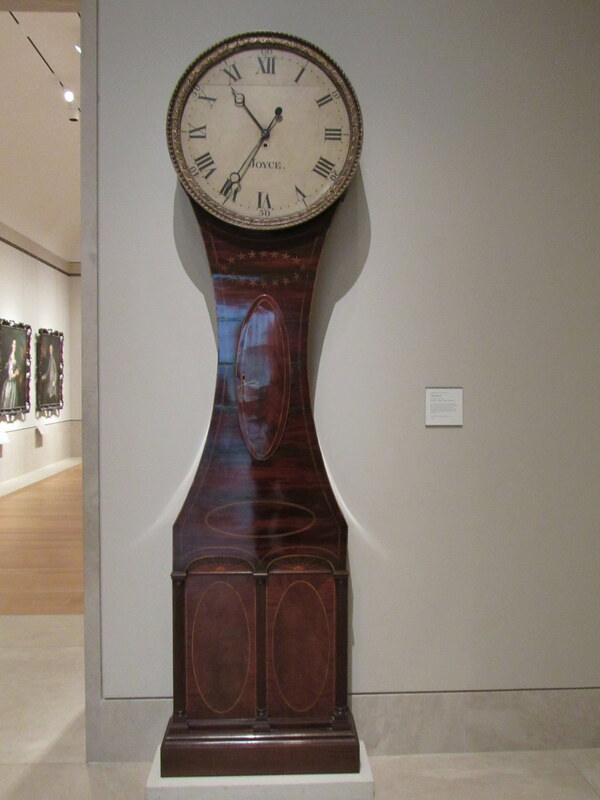 Much more interesting, in my opinion, are a pair of clocks directly connected to Alexander Hamilton on display at two different museums not far from each other. 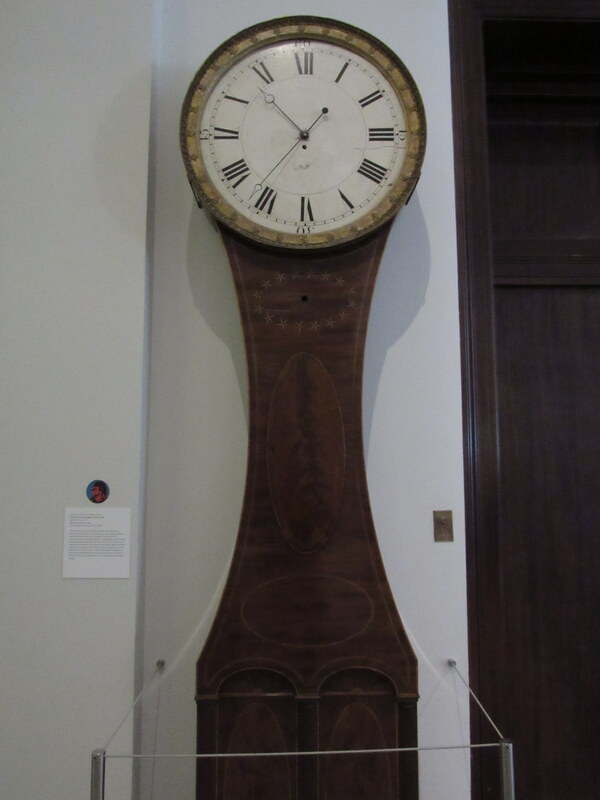 Thus, we have two beautiful clocks given by Alexander Hamilton in or about 1797 to the two leading banks in the country in two different museums less than a mile from each other. Please do visit these two clocks, enjoy their fine craftsmanship, and connect with everyone’s favorite Founding Father. And if you visit both clocks on the same day, be sure to stop at the statue of Alexander Hamilton as you walk from one museum to the other. During my recent trip to New York City, I had the great pleasure of visiting the Metropolitan Museum of Art and the New-York Historical Society. 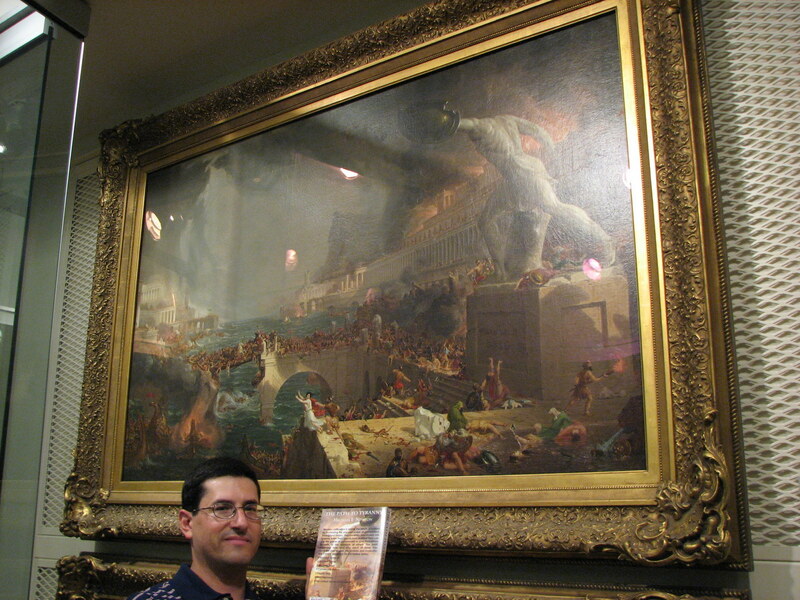 I try to visit the Met every time I’m in New York to see the special exhibits and some of my favorites (Vermeer, Van Gogh, Emanuel Leutze’s Washington Crossing the Delaware). As the Met is so large, I never have time to see everything and am able to see different things each time. 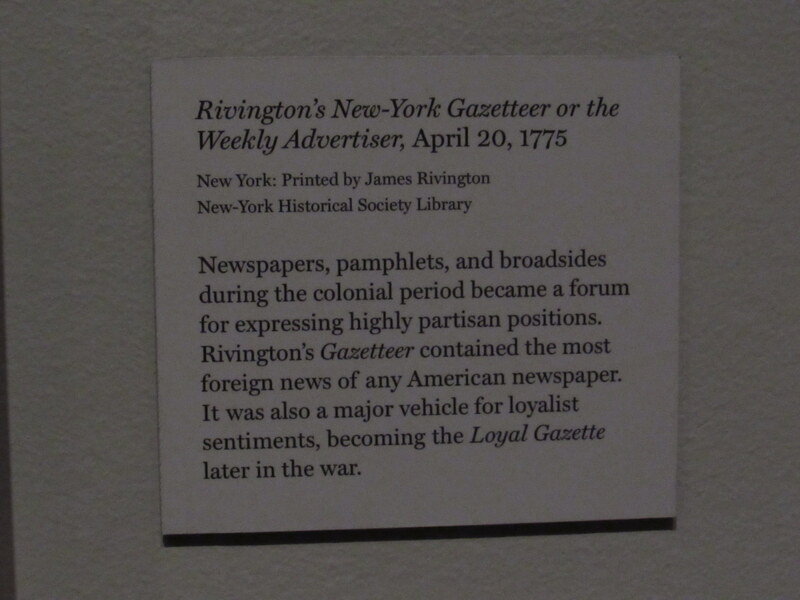 When I’m in New York, I occasionally visit the New-York Historical Society depending on what special exhibits they have. With an exhibit on the Battle of Brooklyn (Battle of Long Island), the NYHS was on my long list of things to do during my brief visit to New York. 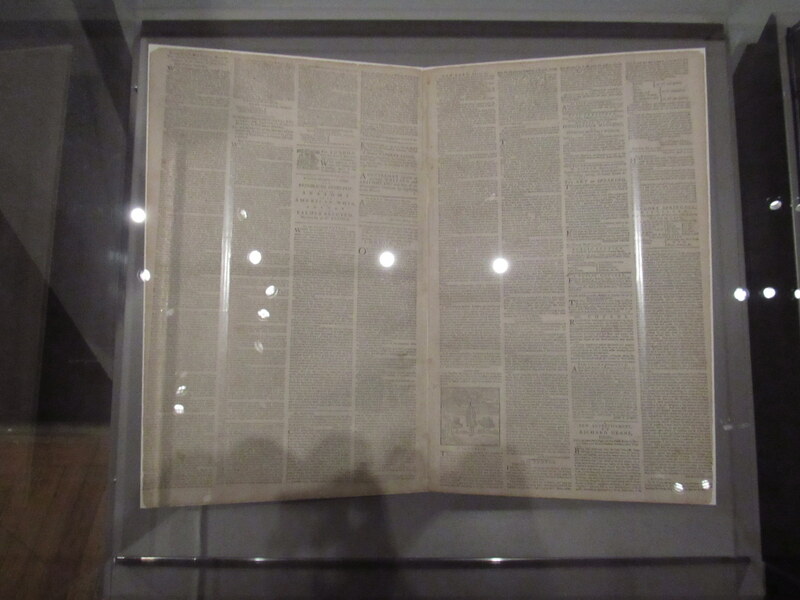 I visited the New-York Historical Society first. 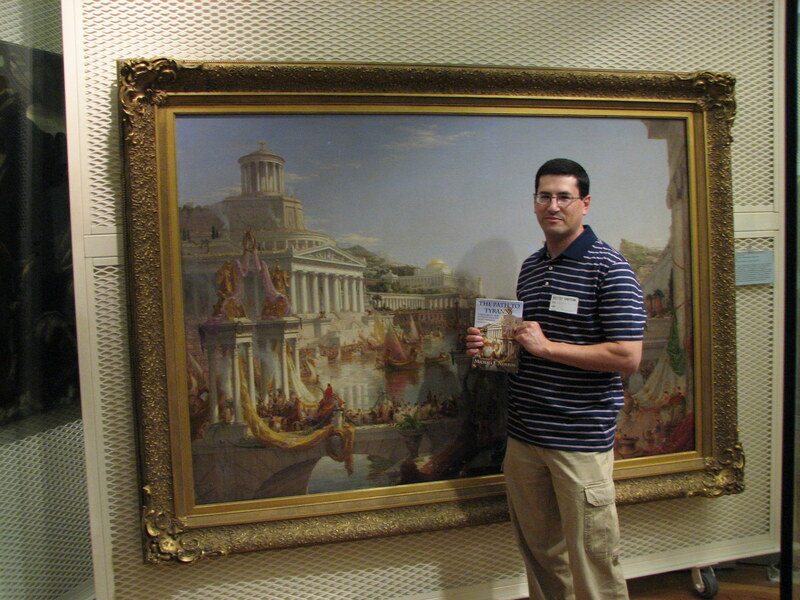 When I entered Dexter Hall, the main painting gallery of the museum on the second floor, I was pleasantly surprised to and see my favorite paintings: Thomas Cole’s five-painting-series The Course of Empire (1833-1836). A brief intro for those who don’t know about these paintings. 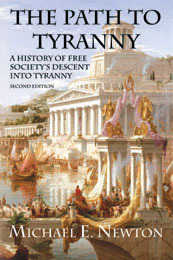 The Course of Empire shows the rise and fall of an empire. 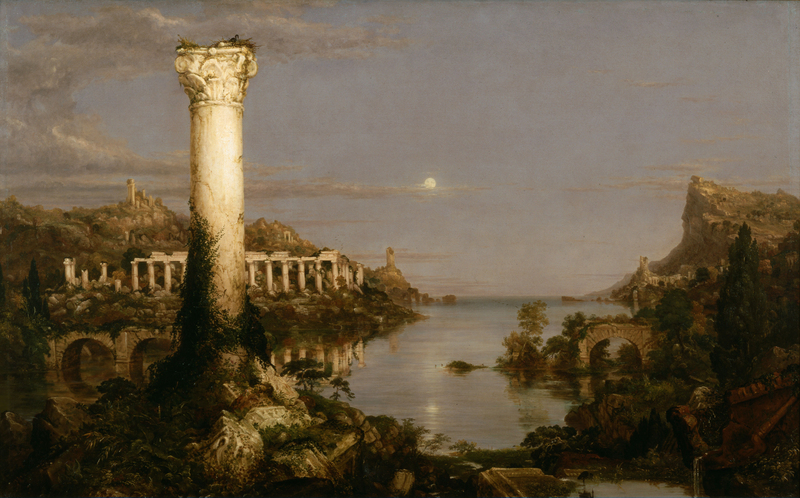 Thomas Cole clearly had ancient Rome as his inspiration but painted them as a warning to the United States to not follow the same course. 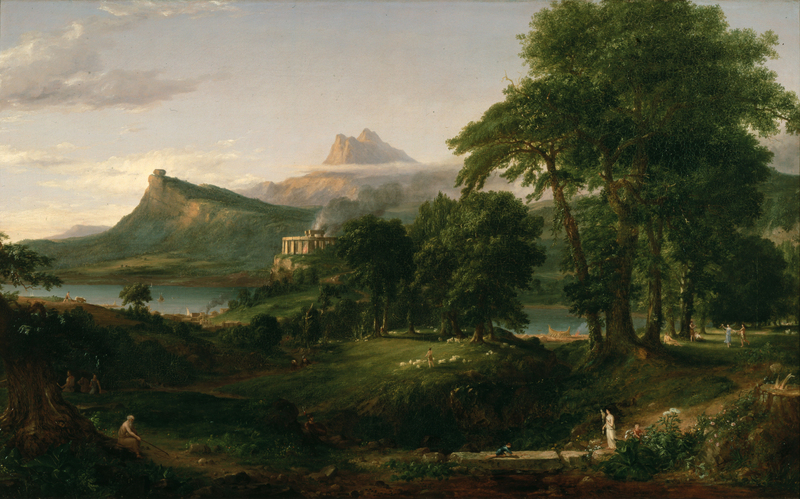 Thomas Cole starts with The Savage State (1834) where the landscape is in its natural state with just a few nomads in view, moves on to The Arcadian or Pastoral State (1834) as farmers move in and start to develop agriculture, jumps to The Consummation of Empire (1836) with the great wealth and power of an imperial city on display, declines into Destruction (1836) as the empire falls and the city is destroyed by barbarians, and concludes with Desolation (1836) where all that remains are the ruins of a formerly great city. I am not sure when Cole’s The Course of Empire returned to the museum but they had been in storage and away on loan for some time. 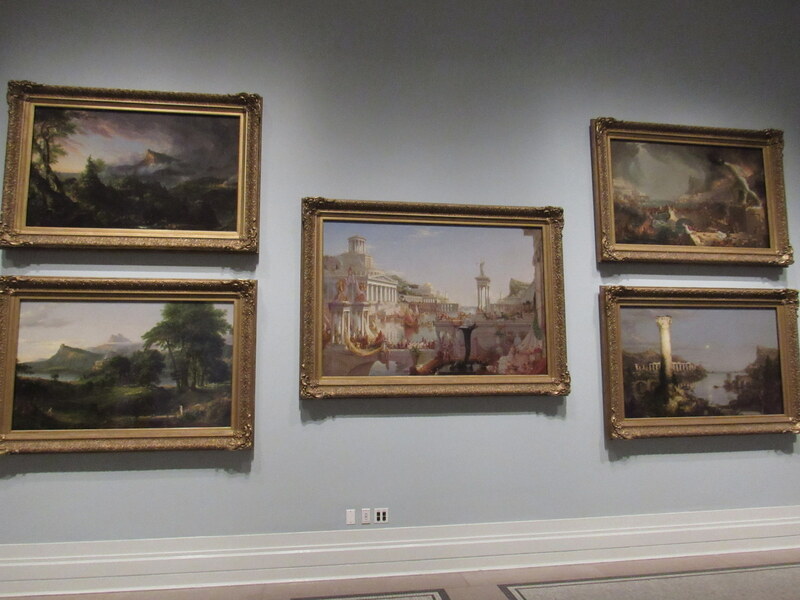 The last few times I visited the NYHS, these paintings were not on display, but I did see them in July 2013 at the Fenimore Art Museum in Cooperstown in an exhibit on The Hudson River School: Nature and the American Vision (no photography was permitted). 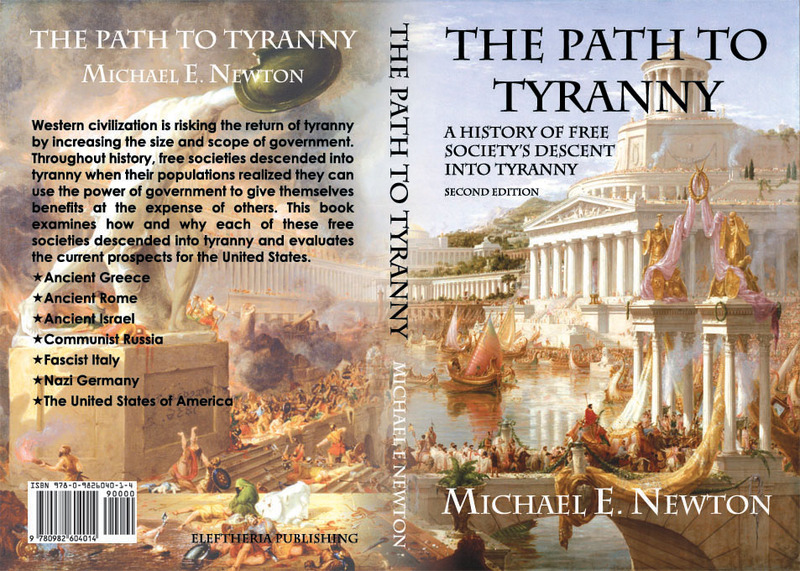 Prior to that, I saw them at the New-York Historical Society in June 2010 when the museum was closed for renovation but they granted me access to see them in storage because I had used two of the paintings for the cover of my first book, The Path to Tyranny, because that book, like the paintings, detailed the rise and fall of free societies. After years of not seeing these paintings at NYHS, I had forgotten they were there and was pleasantly surprised to see them. As usual, I stood gazing at them for a few minutes as I soaked in their greatness. Unfortunately, I had other things to do that day and could not stay longer. A few days later I made my customary trip to the Metropolitan Museum of Art. I was there mainly for their special exhibits on Jerusalem 1000–1400: Every People Under Heaven and Valentin de Boulougne: Beyond Caravaggio, but wandered through my favorite parts of the museum. They recently rearranged some of the European art. 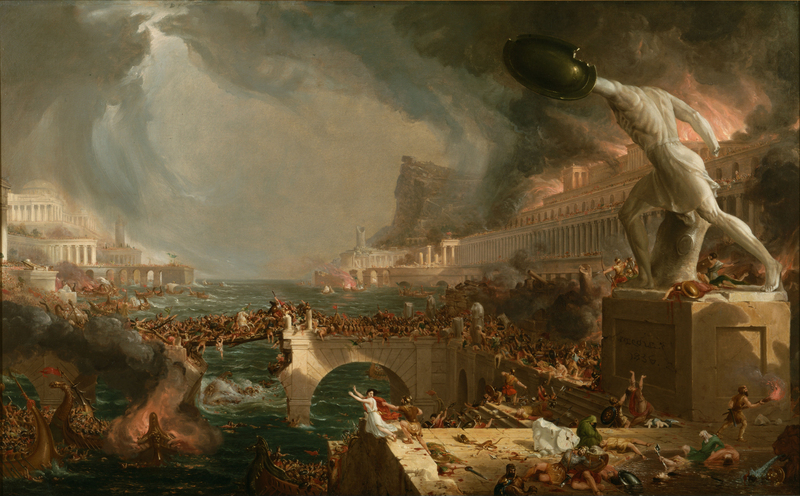 One such room (Gallery 613) is now called “The Salon on the Eve of the Revolution.” Here, I happened across a painting I had either never seen before or just never noticed, Carle Vernet’s The Triumph of Aemilius Paulus (1789). 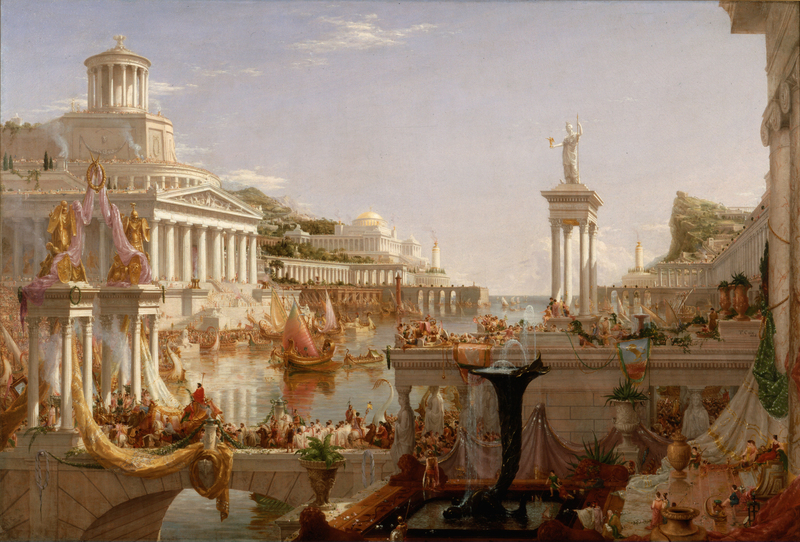 I was immediately struck by how similar the triumphal parade in this painting is to that in Cole’s The Consummation of Empire. 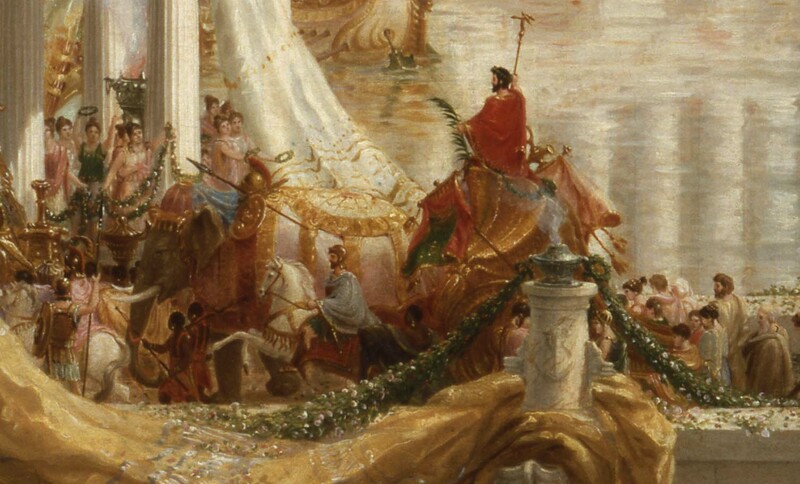 The similarities of which I speak are more evident after zooming in on the triumphs/parades taking place in the two paintings. Art experts, feel free to comment on the similarities and differences between these two painting or to suggest common inspiration for both works. N.B. Thank you to art historian Dianne Durante for your critique and advice.